House Minority Leader Nancy Pelosi has announced her list of nominees to serve as Democratic leaders of Congress for the next two years. Pelosi herself faces pressure to step aside for new blood, with the leadership vote just days away. There will be several Democratic House leadership jobs up for a vote at the end of this month, including the top position, long held by Pelosi, who is about to begin her eighth term as a representative. With days remaining until the vote, Pelosi announced a “roadmap for going forward.” Congress is set to take office on January 3. Pelosi plans to nominate Congressman Ben Ray Lujan of New Mexico as Chairman of the Democratic Congressional Campaign Committee. He became the first Latino to head the DCCC two years ago. “Ben Ray has always known how, and more importantly, why we fight for a Democratic Majority,” she wrote to her Democratic colleagues Friday. 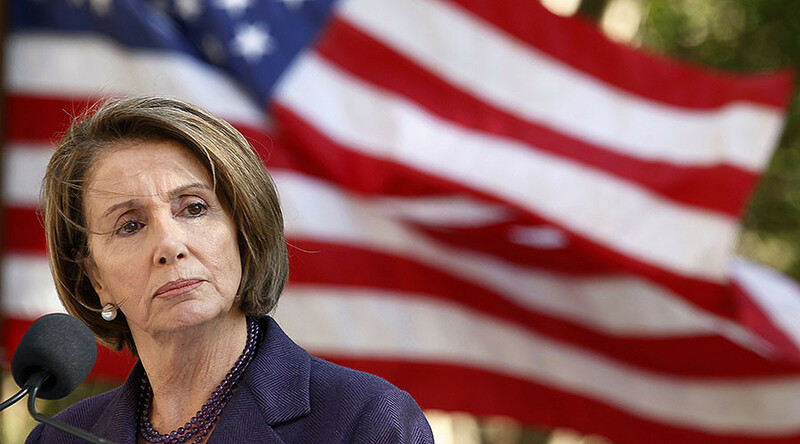 A major change Pelosi has suggested is having three co-chairs instead of just one for the Democratic Policy and Communications Committee, which is currently chaired by Rep. Steve Israel from New York. As Israel plans to retire, Pelosi is pushing for three replacements to him: Reps. Cheri Bustos of Illinois, Hakeem Jeffries of New York, and Matt Cartwright of Pennsylvania. “Each of these Members has taken active leadership roles in the DCCC and they too see the relationship between politics and policy,” she explained. Pelosi has re-nominated Connecticut Rep. Rosa DeLauro to co-chair the Steering and Policy Committee, but has picked another congressman for the second spot. In the 115th Congress, California Representative Eric Swalwell, who currently serves as a Vice Chair of the Steering and Policy Committee, would replace Pelosi’s previous pick, Congresswoman Donna Edwards. “He has traveled across the country galvanizing many of our younger Members to engage with their peers,” she wrote. The House Minority Leader also tapped Congressman John Yarmuth to represent Democratic “values in the budget debate” at the House Budget Committee. “[Yarmuth] is a master at communicating to the public and has been a leader in advocating the use of social media,” Pelosi said. Since the November election, Pelosi has fallen subject to criticism which targeted her leadership style and had to postpone elections amid pressure from some rank-and-file Democrats. In mid-November, Pelosi announced her candidacy for House Democratic Leader, while facing a challenge from Rep. Tim Ryan from Ohio. In spite of Pelosi’s confidence and “support of more than two-thirds of the Caucus,” Ryan announced his candidacy after Democrats agreed to delay their leadership elections. He is the first – and only – candidate to challenge Pelosi’s tenure since the 2010 midterm elections.